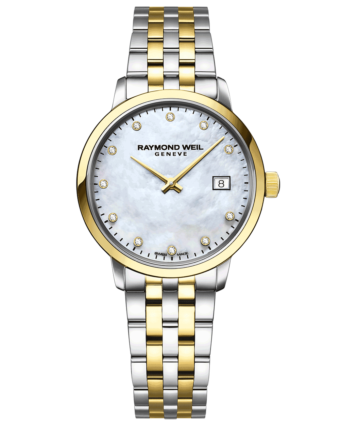 Featuring a stainless steel yellow gold PVD plated 29mm diameter round case, a delicate white mother-of-pearl dial adorned with 11 0.03-carat diamond hour markers, and a date window at 3 o’clock. This classic gold ladies’ toccata proves beauty is not always fleeting. 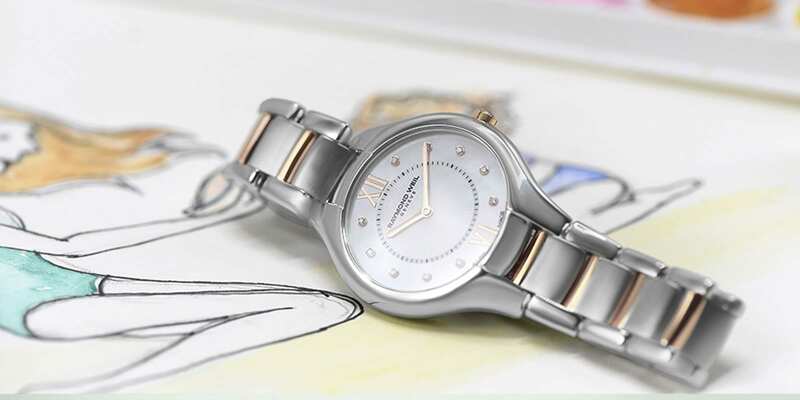 Refined design and timeless materials: toccata will impress women on whom time holds no dominion. 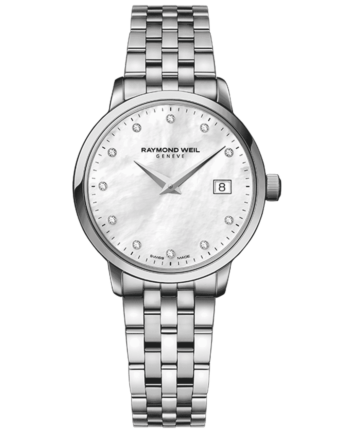 This elegant and timeless collection celebrates the artistic and musical spirit behind the Brand’s DNA. Following in the footsteps of the great composers, toccata promotes RAYMOND WEIL’s Swiss horology while respecting the tradition and heritage handed down from generation to generation within the family company.